SeaPort-e provides Navy Systems Commands (NAVSEA, NAVAIR, SPAWAR, NAVFAC and NAVSUP), the Office of Naval Research, Military Sealift Command and the United States Marine Corps a contract vehicle to procure engineering, technical, programmatic support services for authorized users through all phases of ship and weapon system life cycle - technology development, concept exploration, design, specification development, construction/production, test and evaluation, certification, operation, maintenance, improvement/modernization, overhaul and refueling, salvage and disposal. The scope of the contracts also includes professional support services to assist in the development, review and execution of search and salvage, diving, underwater ship husbandry and pollution control program areas. EPS team members are qualified in all seven geographical regions. 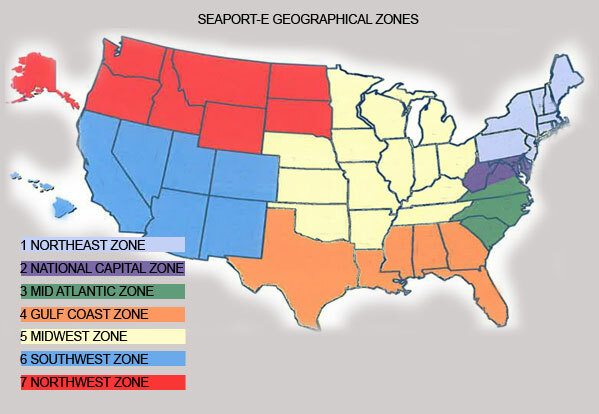 EPS is considered a large business under the SeaPort-e contract. 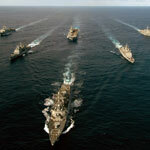 Team members are selected based on specific criteria: (1) demonstrated performance record; (2) ability to offer experience from not only NSWCs, NUWCs, NAVSEA and Navy PEOs, but experience from other Navy organizations and Government agencies; (3) expertise in the broad range of systems in the various product area directorates; (4) Small, Service-Disabled Veteran-Owned, Woman-Owned, Minority or HUBZone businesses who are doing cutting-edge work; and (5) previously established working relationships. EPS is consistently updating our list of teaming partners to ensure we provide NAVSEA and the warfare centers the required level of support now and in the future. This contract can be used to provide support to other Department of Defense (DoD), non-DoD or joint agencies for work that is integrally related to the Department of the Navy (DON) product areas and mission. EPS is dedicated to identifying teaming partners who share our ideals and dedication to customer service. If you are a firm interested in subcontracting opportunities with EPS under SeaPort-e, please complete the request for additional information by clicking here. Specific subcontracting opportunities will be defined by individual task orders.